Tin Tie bags package bath salts very well. The top of the bag folds down, and is secured with a tin tie. 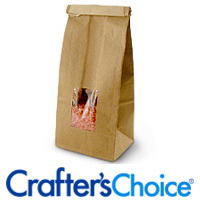 Some bags even come with a window allowing customers to see your colorful or natural salts.